Performance. Hatch. If you can’t imagine these two words together, you’ve never seen a hatchback hit 60 mph in under 5 seconds. You’ve never seen the Volkswagen Golf R. And we can’t blame you: Hitting the road with 292 horsepower and 280 pound-feet of torque, the Golf R can be there in a blink and gone in another. The best of both worlds – sport and practicality – the Golf R leaves nothing to the imagination, choosing to exceed it instead. A 6-speed manual transmission delivers power with a palpable responsiveness while the 4MOTION® all-wheel-drive system balances torque between the front and rear wheels for optimal performance regardless of driving scenario. 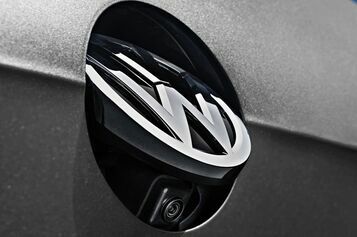 Take command of the Golf R using the standard performance monitor, making information like multi-direction G meter, boost pressure, and engine power usage accessible at a tap of the 8” glass touchscreen display. Thanks to a design sculpted from front to back with style and substance that excites, the Golf R makes lasting impressions as a second nature. 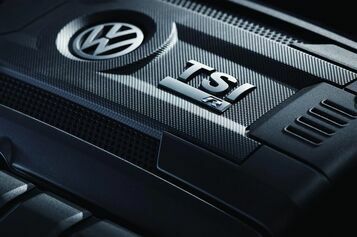 A 2.0L TSI® turbocharged engine is the heart of the Golf R, pumping out 292 horsepower and 280 pound-feet of torque for a drive that proves even hatchbacks can make the track. An available 7-speed DSG® automatic transmission with Tiptronic® puts that power to the pavement with efficiency while the paddle shifters grant the control and satisfaction of manual shifting. The Golf R’s pursuit of the cutting edge doesn’t end under the hood. 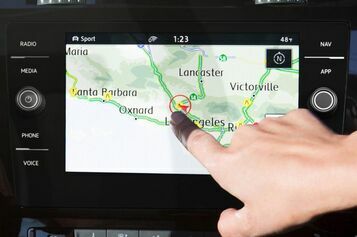 A digital cockpit display leaves the traditional instrument cluster behind in favor of a high-resolution digital display, the 8” touchscreen makes navigation clean and intuitive, and VW App-Connect makes integration with Apple CarPlay® and Android Auto® simple. With seven-stability enhancing features, a strong and durable safety cage and several active safety features, it’s plain to see what’s most important to the Golf R. Technologies like Adaptive Cruise Control, Lane Assist and Blind Spot Monitor make high-speed driving safer for everyone, while the available Pedestrian Monitoring system and standard rear-view camera system make even mundane driving scenarios more secure.